PARTIDO DEL TRABAJO, FORTIN, VER. : LA PROPUESTA DEL ING. 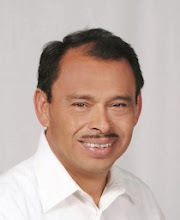 APOLINAR FLORES VELASQUEZ CANDIDATO A PRESIDENTE MUNICIPAL PT FORTIN DE LAS FLORES, VER. LA PROPUESTA DEL ING. APOLINAR FLORES VELASQUEZ CANDIDATO A PRESIDENTE MUNICIPAL PT FORTIN DE LAS FLORES, VER. SOY APOLINAR FLORES VELASQUEZ Y AL IGUAL QUE LA MAYORIA DE LOS INTEGRANTES DE MI PLANILLA SOY PROFESIONISTA JUBILADO QUE NO REQUERIMOS ESCALAR AL SERVICIO PUBLICO PARA ENRIQUECERNOS. HE LUCHADO SIEMPRE POR ACERCAR LOS BIENES Y SERVICIOS A QUE TODOS LOS CIUDADANOS DE NUESTRO MUNICIPIO TENEMOS DERECHO A RECIBIR APORTANDO TIEMPO, TRABAJO AGREGADO, GESTION Y RECURSOS MATERIALES PARA CONSEGUIRLOS. ESTA VEZ AL IGUAL QUE MI FORMULA PARTIDISTA NOS MUEVEN A PARTICIPAR DESDE ESTA TRINCHERA PARA COMBATIR Y DESTERRAR LA PROFUNDA DESIGUALDAD Y LA INERCIA CON QUE NOS CONSTA A TODOS SE HAN APLICADO LAS ULTIMAS ADMINISTRACIONES MUNICIPALES QUE SOLO HAN BUSCADO SACIAR SUS INTERESES PARTICULARES. YO TE PROPONGO UNA ADMINISTRACION TRANSPARENTE, HONESTA, JUSTA Y PARTICIPATIVA PARA ATENDER TUS NECESIDADES QUE SE SON MUCHAS Y QUE A PESAR DE ESTAR ACUMULADAS EN UN REZAGO IMPRESIONANTE CON TRABAJO, AHINCO Y DECISION PODEMOS SOLUCIONARLAS. NOS APOYAREMOS DE LOS PROGRAMAS GUBERNAMENTALES Y DE TODOS LOS RECURSOS PUBLICOS PROPIOS, ESTATALES Y FEDERALES DISPONIBLES PARA REVERTIR LA ENORME DESIGUALDAD QUE IMPERA EN CADA RINCON DEL MUNICIPIO PARA QUE ESTE VUELVA A SER EL LUGAR DONDE TODOS QUERAMOS VIVIR. AUNQUE EL FUTURO PARECE DIFICIL NUNCA LA INJUSTICIA HA VENCIDO A LA ESPERANZA. NO PERMITAS QUE SE APAGUE ESA LUZ Y ACOMPAÑANOS A CONSTRUIR UN MUNICIPIO MAS JUSTO Y SOLIDARIO.